Dosto Pichle Post Google Par Gmail Account Kaise Banaye Agar Ap Padhe Hai Toh Ab Tak Ap Gmail ID Bana Chuke Honge Or Agar Ap Abhi Tak Nhi Padhe Hai Toh Pahle Pichle Post Ke Madad Se Gmail Account Banale, Phir Ye Post Continue Kare, Kyu Ki Agar Apke Pas Gmail Account Nhi Hai Toh Ap Google Plus Account Bhi Nhi Bana Sakte. 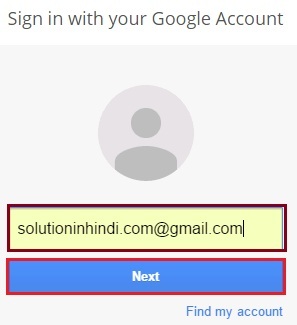 Agar Apke Pass Gmail ID Hai Toh Ham Is Post Ko Age Badhate Hai Usse Pahle Google+ Account Kya Hai Oh Janlete Hai. Notifications– Yahase Ap Notification Dekh Sakte Hai Facebook Ke Tarah. 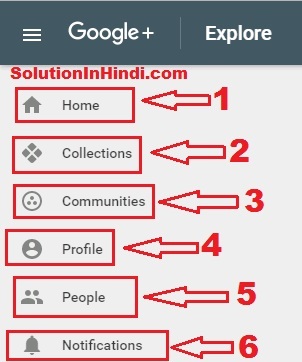 Google+ Ek Social Networking Site Hai Jaise Facebook, Twitter, Linkedin Wagaira Wagaira. Or Isko 2011 Me Google Ne Launch Kya Hai. Or Iska Or Bhi Bhut Future Hai Jaise Video Call, Group Chat, & Page Jaise Facebook Par Karte Hai. Agar Apke Koy Business Ya Website Hai Toh Yahase Free Me Promotion Karke Apna Cline Ya Visitor Badha Sakte Hai. Youtube Video Bhi Yaha Share Kar Sakte hai, Or Bhi Bhut kuch Hai. 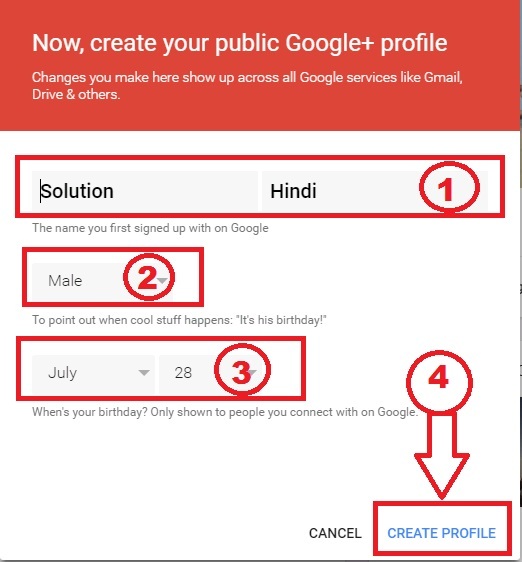 Ap Jab Use Karenge Tab Pata Chal Jayega, Toh Ham Abhi Google+ Account Create Kaise Karte Hai Oh Dekhenge. Computer Format Ya Install Karne Ke Liye Pendrive Ko Bootable Kare. Dosto Google Plus Account Create Karna Bhi Bhut Aasan Hai Bas Apko Niche Diye Gaye Kuch Step Ko Follow Karna Hai. Sabse Pahle Ap Plus.Google.com Browser Me Search Kare, Ya Phir Yaha Google Plus Par Click Karke Direct Ja Sakte Hai. 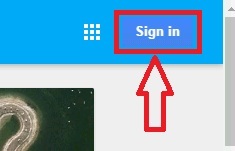 Google Plus Par Aagye Hai Toh Right Side Me Sign in Likkha Hai Us Par Click Kare. 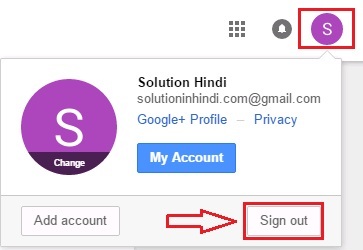 Sign In Par Click Kar Diye Hai Toh Ab Apko Apke Gmail (Google) Account Log in Karna Hai. ID Deke Next Me Click Kare. 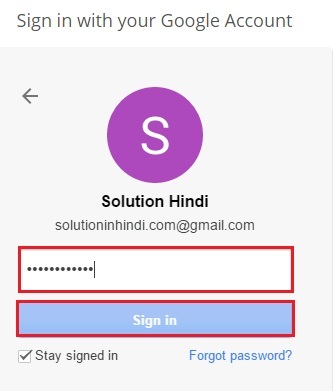 Gmail ID De Diye Hai Toh Yaha Apke Gmail Account Password Deke Sign In Par Click Kar dena Hai. Join Google+ Par Click Karte hi Ab Apke Samne kuch Is Tarah ki Page Aayega. Niche Screenshoot Dekhe. Yaha Apko User Name Dena Hai Jo Ap Rakhna Chahte Hai. Yaha Apko Gender Choose Karna Hai. Date Of Birth Dena Hai. Sab Kuch De Diye Hai toh Finally Ap Create Profile Me Ok Kar Dijiye. Toh Lijiye Ab Apke Google Plus Account Taiyar Ho Chuka Hai Google+ Ke Bare me Janne Ke liye Step Continue Rakkhe. 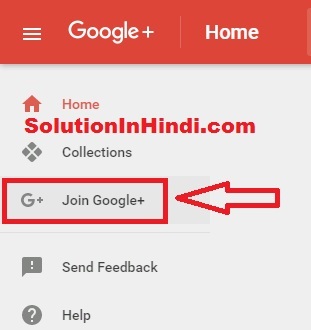 Hamaree Website ko Google+ Par follow Karne ke liye SolutionInHindi Par Click Kare. Ab Ap Left Side me dekhenge Google+ Ke Dashboard Hai. Home– Iske Bare me Toh Sab Janta Hi Hai. RECOMMENDED- Yahase Ap Communities Page me Join Ho Sakte Hai Ya Phir Koy Apko Request Karega Join Hone Ke liye Toh Ap Yaha Accept Ya Decline Kar Sakte hai. MEMBER- Ap Kis Kis Communities Page Ke member hai Yaha Se Jan Payenge. YOURS- Agar Apke koy Communities Page Hai Toh Yahase Dekh Payenge Ya Phir New Create Karna Chahte Hai Toh Yahase Kar Payenge. Profile– Ye Bhi Ap Jante hi honge Yahase Ap Apna Profile Me Edit Wagaira Kar Sakte hai. People– Yahase Find People, Following & Followers Kon kon Hai Dekh Sakte hai. Log Out Karna Chahte Hai Toh Niche Sreenshot Dekhe. Right Site Me Apke Photo Dekhai De Raha Hai Us par Click Kare Phir Sign out Par Click Kar Denge Toh Apke Google+ Account Log Out Ho Jayega. Toh Dosto Ab Ap Google+ Par Account Create & Use Karna Sikh Gye Honge. Next Article Me Bataunga Kaise Google Plus Page Banate Hai. I Hope Ke A Post Apke Liye Helpful Raha Hoga, Faydamand Raha Toh Plz Apne Friends Ko Bhi Share Kare. Or Hame Sath Update Rahne ke Liye Facebook Page Like KaRe. Google + account se kya hota hai yr? ?